The increasing growth of the healthcare industry comes with the increasing challenge of maintaining an excellent healthcare service, all the while ensuring that pertinent functions in the practice are running smoothly. One of these important functions is proper medical coding. This potentially daunting function requires the specialized knowledge and skills of certified coders to ensure that your claims are coded correctly, or else risk inaccuracies that result in your claims being denied as well as potential revenue loss. 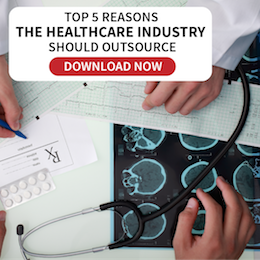 When it comes to tackling these tasks with minimal to no errors, outsourcing is your best answer. This is where Infinit Healthcare comes in, equipped with the resources and manpower necessary for all your medical coding outsourcing needs. Infinit Healthcare is a medical coding specialist you can depend on. Our services include ICD-9-CM Coding, and CPT and HCPCS Level II Coding that assist in keeping your patients’ data organized, accurate, complete, and secured. From a patients’ perspective, the accurate CPT codes can literally make the difference between life and death. The codes capture patient symptoms, diagnosis, condition, and treatment, all in complete accuracy so as to deliver proper care for them. When discussing medical coding, accuracy is a paramount concern. Errors have no place in medical coding because these can lead to denials of claims. Infinit Healthcare’s medical coding outsourcing team has extensive experience with coding and superior knowledge with regards medical terminology. In the face of new regulations and protocols of the insurance industry, government compliance requirements, payer specific requirements, and the bundling and unbundling procedure changes affecting the healthcare industry’s billing process, our medical coders are always up-to-date to ensure nothing gets left out. Infinit Healthcare assures you a steady, smooth flow of income for your practice as a direct effect of accurate medical coding from our coders, as well as increased efficiency within entire healthcare revenue management cycle. Regardless of your size or practice specialty, your business can thrive even more if you outsource medical coding with us. 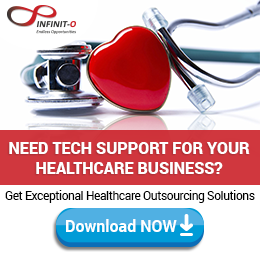 For a healthcare providers, whose lifeblood are their patients, Infinit Healthcare’s excellent medical coding outsourcing services lets you have the freedom to focus on your patients’ unique medical needs. We know how unique each practice is, so we adapt ourselves to suit your business needs. Six Sigma methodology is applied to our medical coding outsourcing service, allowing us to recognize the root cause of your business problem and properly address them with the best possible solution. This approach then results to successful returns for your practice and its financial health. 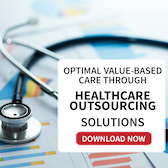 Engaging Infinit Healthcare for your medical coding outsourcing needs gives you all the benefits that certified medical coding specialists have to offer without the necessary cost of hiring them in-house. Along with our well-trained medical coders, our medical coding outsourcing services give you access to the latest technology without you having to deal with constantly changing advances in the field. We take on all the required costs of operation and technological expenditures. To also ensure the highest quality of our service, we took measures to invest in a robust technological infrastructure. Our state-of-the-art facilities are maintained regularly and meticulously while in case of unfortunate events, we have in place a business continuity plan where every member is accounted for. This is all to ensure undisrupted workflow in serving your medical coding outsourcing needs.